Summer is here and your OOTD’s and summer fun needs an update! 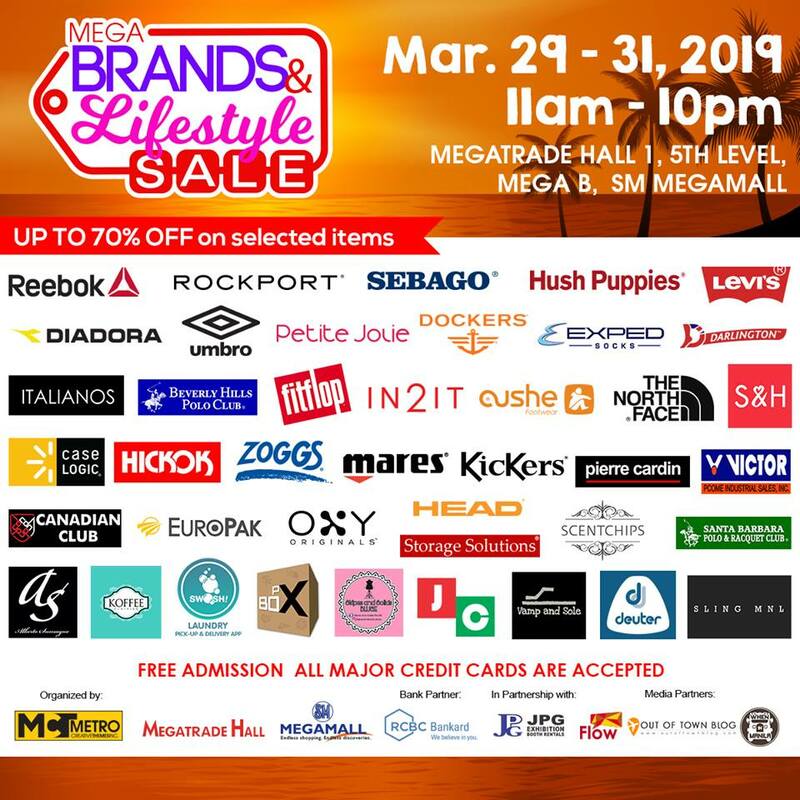 Shop at the Megabrands and Lifestyle Sale on March 29-31, 2019 at the Megatrade Hall 1 of SM Megamall from 11am to 10pm daily. Find your favorite brands at sizzling sales promos and grab the latest trends at low prices. Catch Reebok, Hush Puppies, Fitflop, Reebok, Rockport, Sebago, Dockers, Levi's, Umbro, Diadora, Sebago, Beverly Hills Polo Club, Deuter, and more...with their markdown items in time for summer! 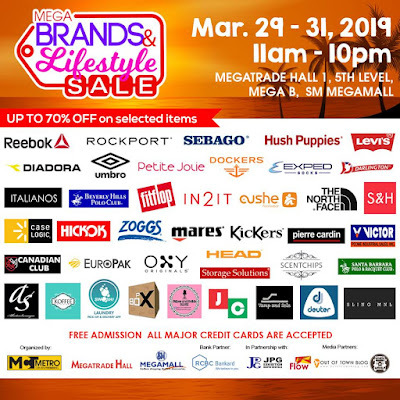 Trendy collections, accessories and other great finds that fit your budget are also up for grabs! The event is partnered with RCBC Bankard and all major credit cards are accepted!